Located in the prestigious event CES (Consumer Electronics Show) Las Vegas 2009, Nokia released the latest series for CDMA mobile phone low end category: the Nokia 1006. As another series of cheap mobile phone, this model still provides easy access to communication through the view that simple. 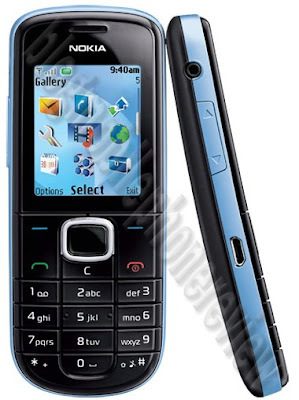 Interface Nokia S40 platform, with a 262,144 color TFT screen, resolution 128 x 160 pixels. Candybar design slightly curved, not like most low end mobile phone that seems rigid. For features, this phone brings the standard facilities. Only the alarm, calendar, calculator, voice recorder and facilities messaging via sms. Interestingly, this phone as a means of providing Bluetooth connectivity.